Sometimes when trying to make a payment using PayPal, it asks for card information. And sometimes, once you have added it, the payment still fails. This is an ongoing issue on PayPal and here’s a simple solution for the problem. On the top right corner click on the Three-Dotted button to see the menu pane and then click Settings. On the Settings, scroll down and click Advanced then look for Content Settings. 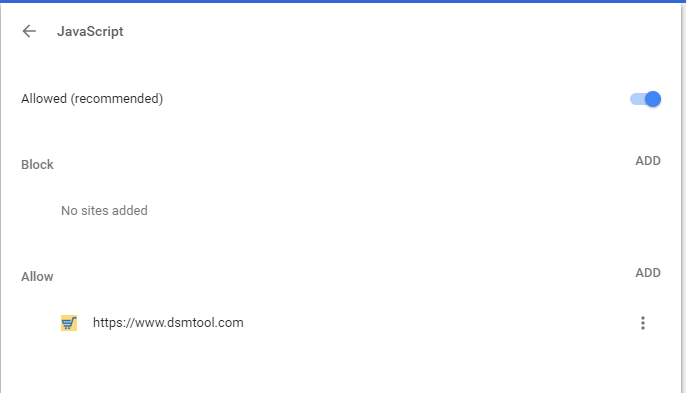 Lastly, make sure to disable everything except DSM Tool.